Yeah, we went there. One side of the cabin has been leaking pretty badly (there’s a bucket farm in the future kitchen). 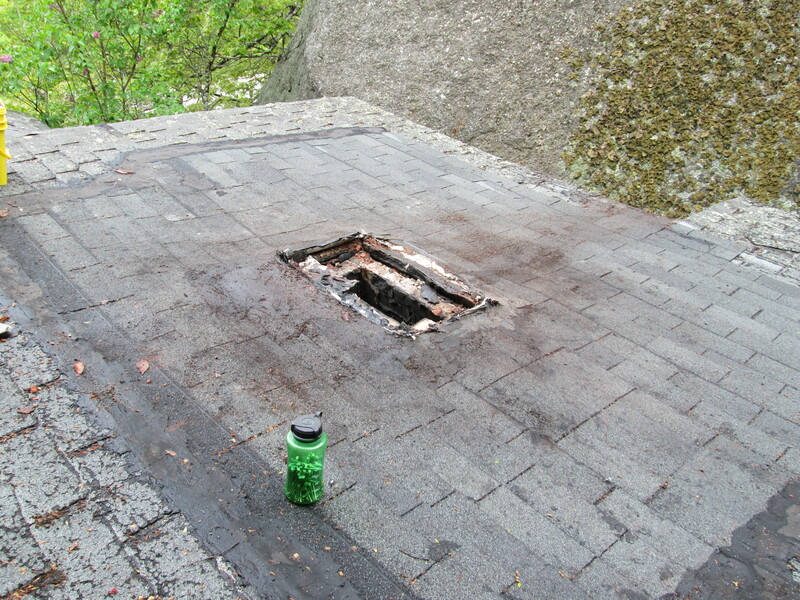 Essentially, the previous owner pretended to fix the roof and made a mess around the chimney, causing leakage all down all of the roof rafters and rotting a lot of stuff. No biggie, since we knew it needs replacing, but it keeps raining so we needed to stop the problem tout de suite. 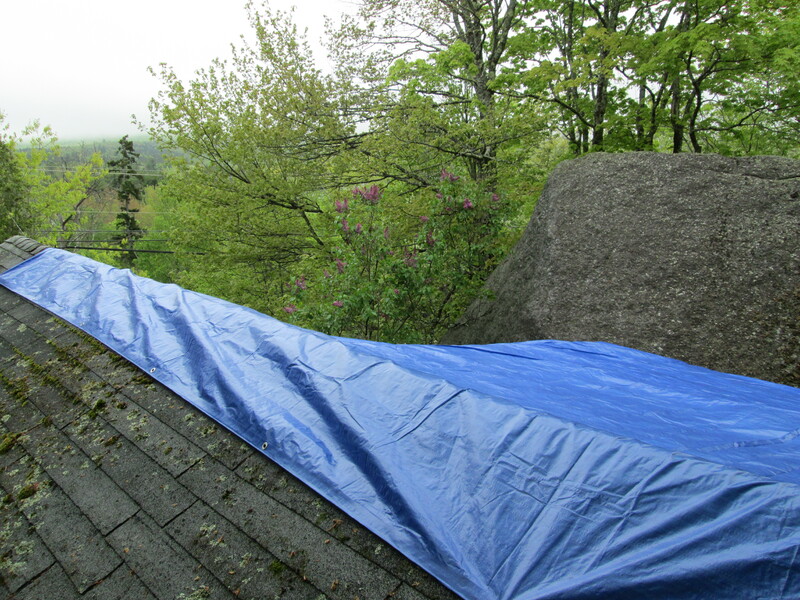 Hence, blue tarp. (that’s Taaaahhhhp in Maine). 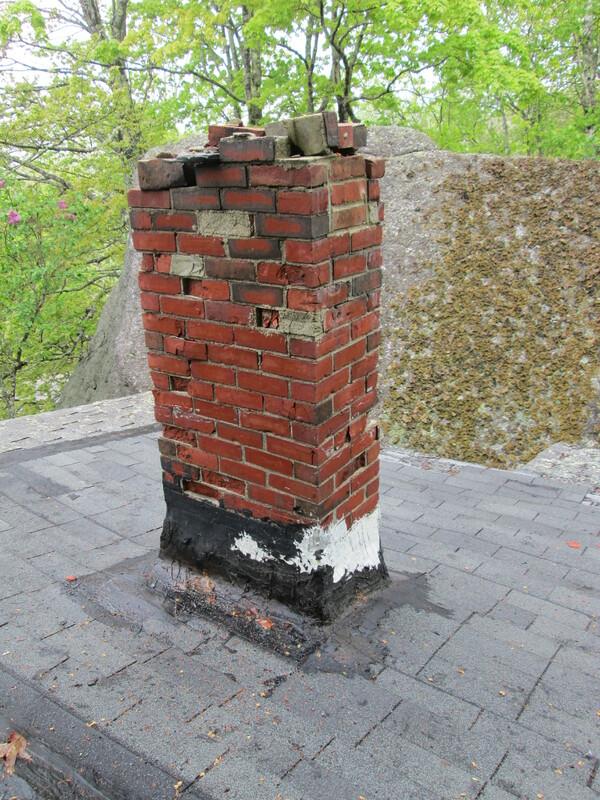 Before: chimney. Needed to be taken down. Mostly removed. 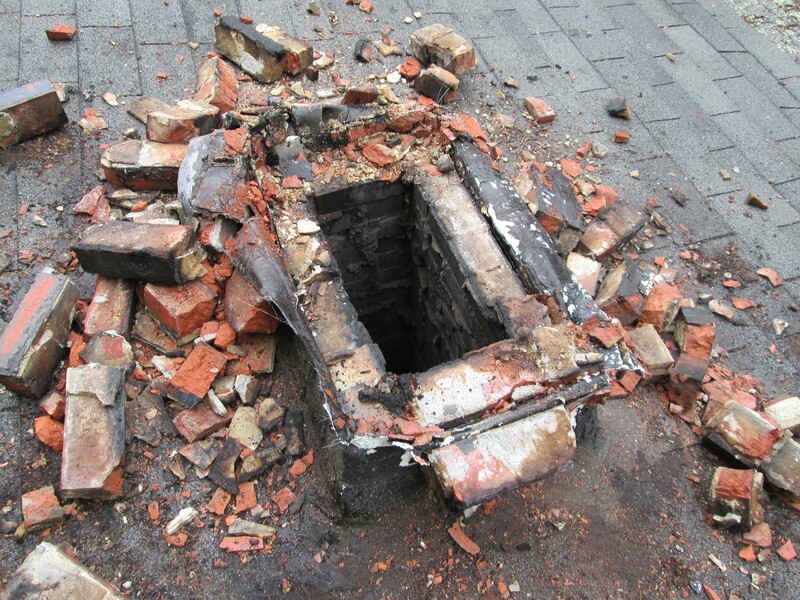 This looks like the chimney barfed all over the roof. 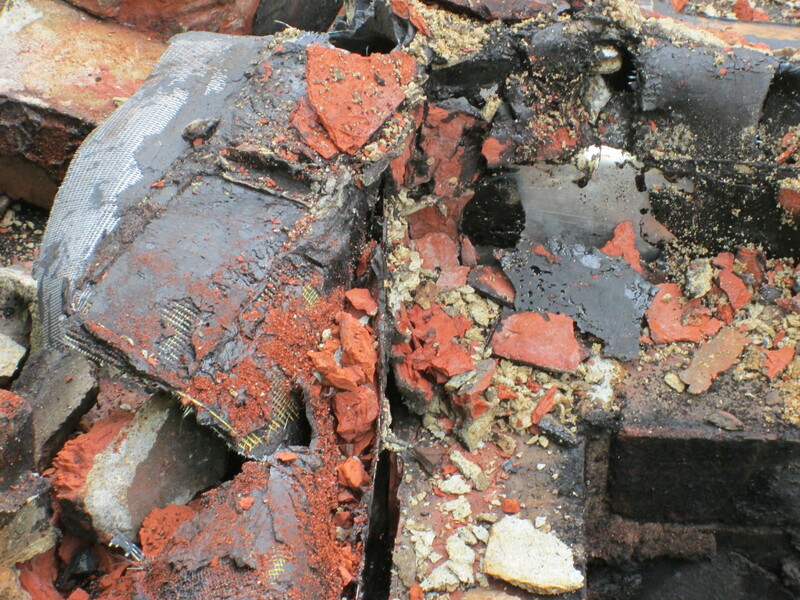 Most of the bricks were dry stacked and just came right off. At the bottom it was wrapped not just in flashing and tar, but also duct tape. Yes, duct tape. Cleaned and ready. We nailed a piece of plywood over the hole so no one falls in. And the new ‘roof’, with a lovely view. Fortunately you really can’t see it from the road. How embarrassing! 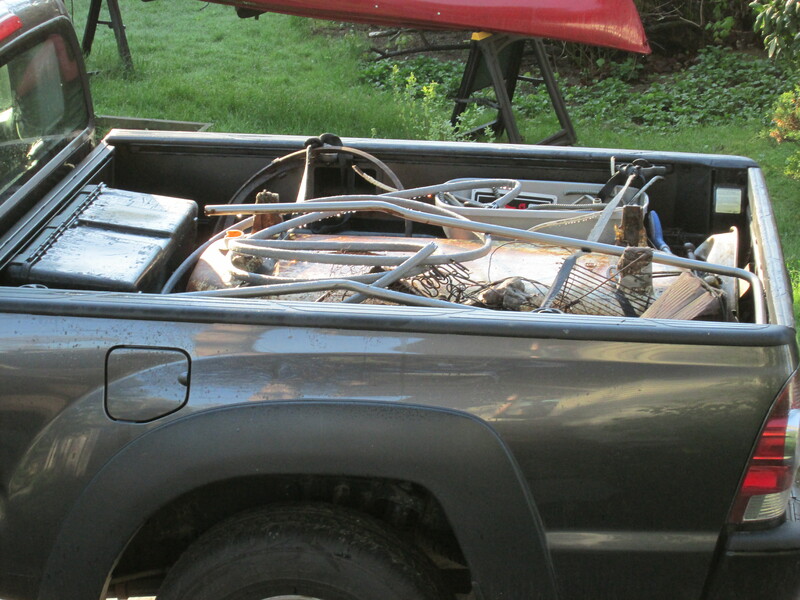 We got rid of a load of scrap metal – including the 300 pound tub – early this week. 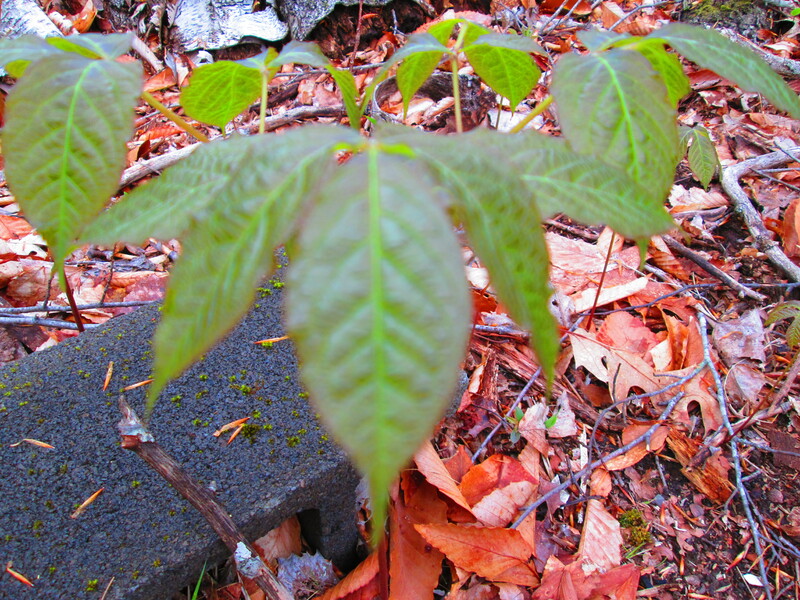 Also took photos of this plant, which always looks, at first glance, to be poison ivy (3 leaves come out first and are reddish). I’ve seen it in woods everywhere, but never remembered to look it up – until now. 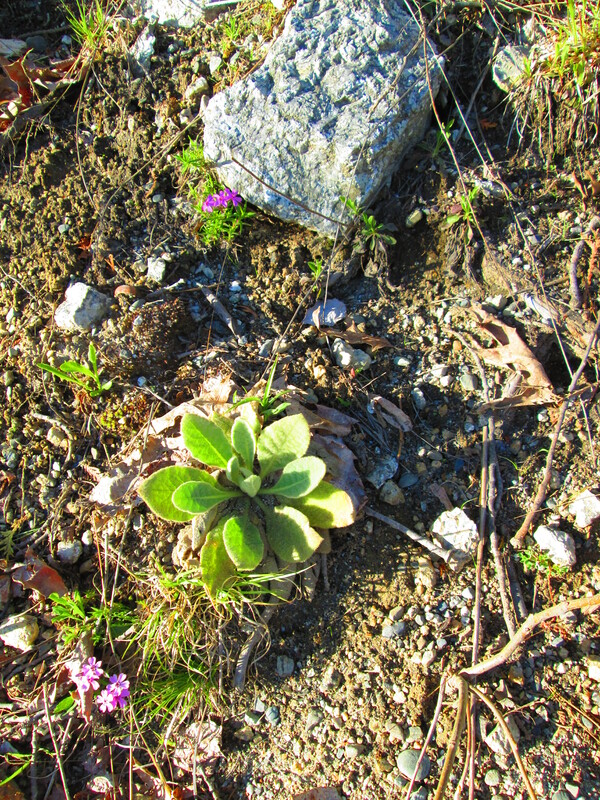 It is wild sarsaparilla, a member of the ginseng family. Mystery solved. We went on a quick after-work excursion to put out trash (no surprise there) and see what else has popped up now that the weather’s been quite warm. There’s a lot of evidence that someone once did some decent gardening, so the plan for this year is to see what pops up, do some obvious pruning and remove nasty stuff like barberry, and just let it be. Next year, we can do a more formal landscape plan. 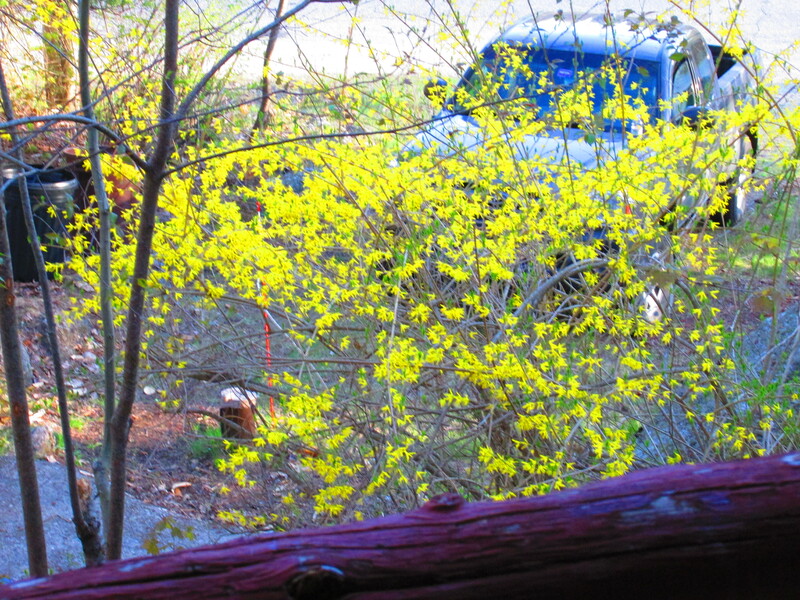 Forsythia. Albeit, overgrown. Slated for mass pruning. 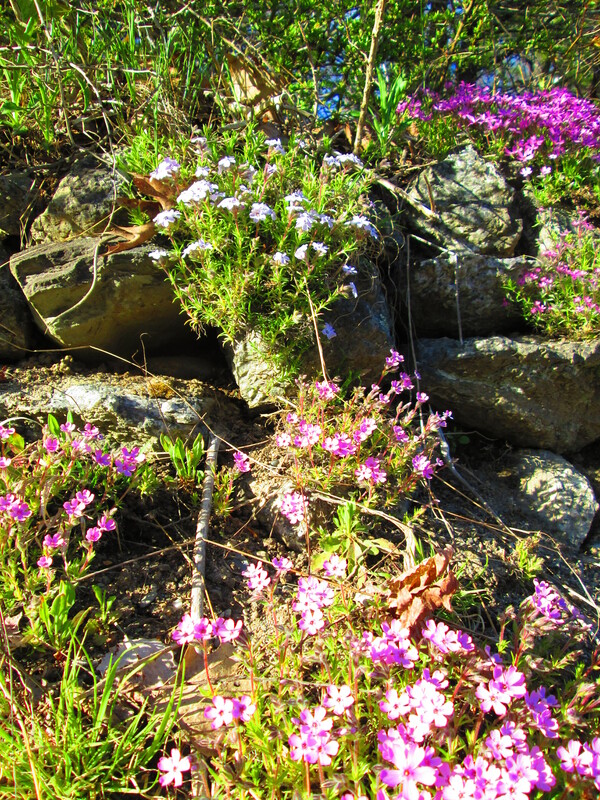 Massive drifts of moss phlox along the front stone wall. Rabbit ears. A few places with these. 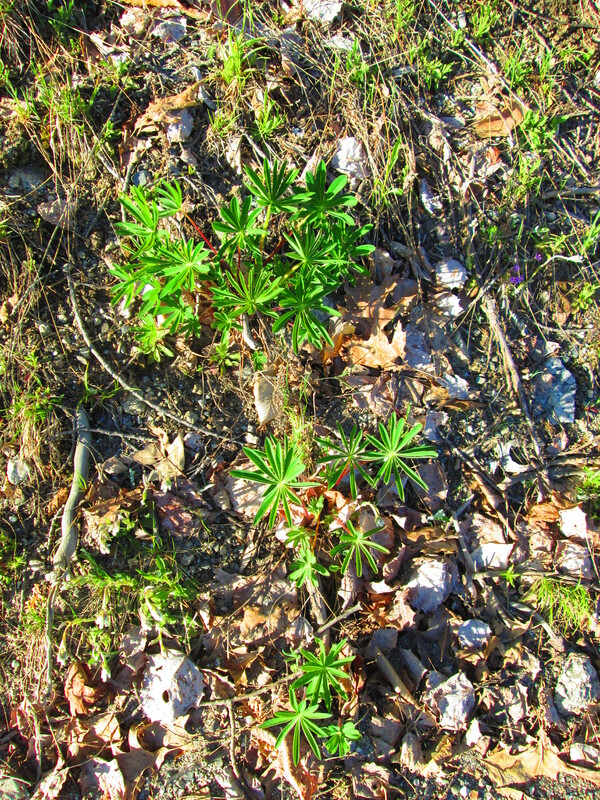 A Maine favorite: Lupine! We’ve never successfully grown these in the garden at the house. Score! 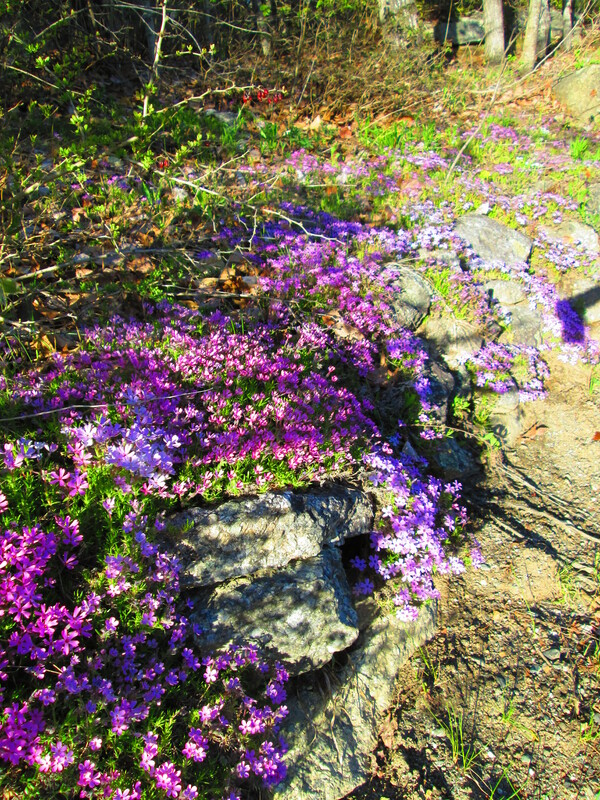 More moss phlox. A favorite of mine – an alpine classic. Apple? 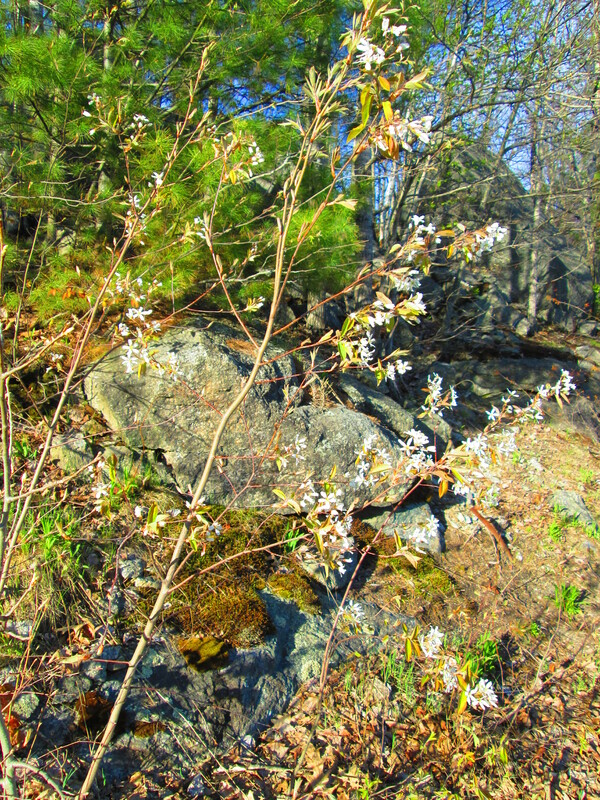 Pin Cherry? I’m not good at IDing these. 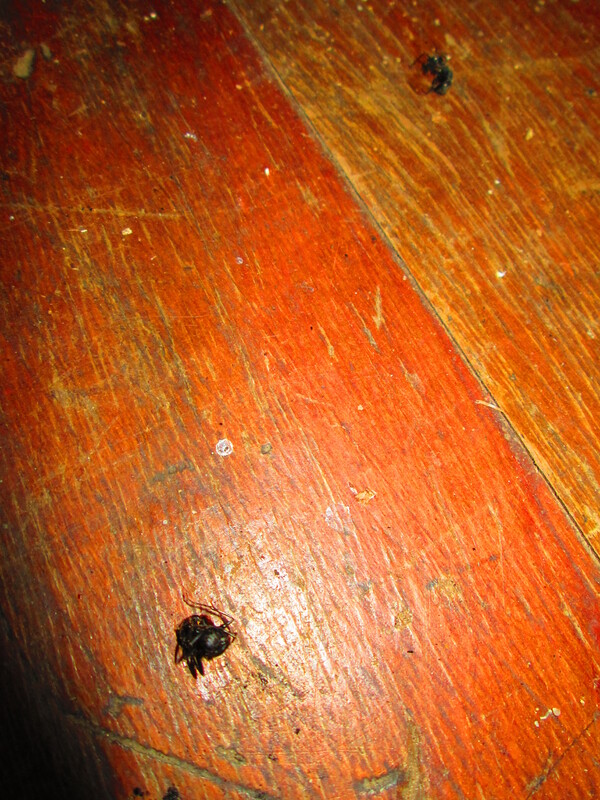 Not so great: ants. Yes, the big ones. Only one small nest seems to be in the basement. All the individuals I saw were stomped. On the to-do list.